I didn’t get the pleasure of playing Resident Evil 2 when it launched all those years ago. I did however save up allowance, did a lot of odd jobs until I was able to scrounge up enough for a Dual Shock PlayStation and the Dual Shock Greatest Hits version of Resident Evil 2 as I was still in grade school at the time and no one knew what an “M” rating meant. At this point I don’t think I really need to introduce Resident Evil 2 PC as the remake I’ve been waiting for, so let’s jump into this one. Resident Evil 2 is built on the RE (Reach For The Moon) Engine that was introduced with Resident Evil 7, ignore the timeline this is a remake after all. Resident Evil 2 is turning out to be a technological showcase for everyone, eventually. 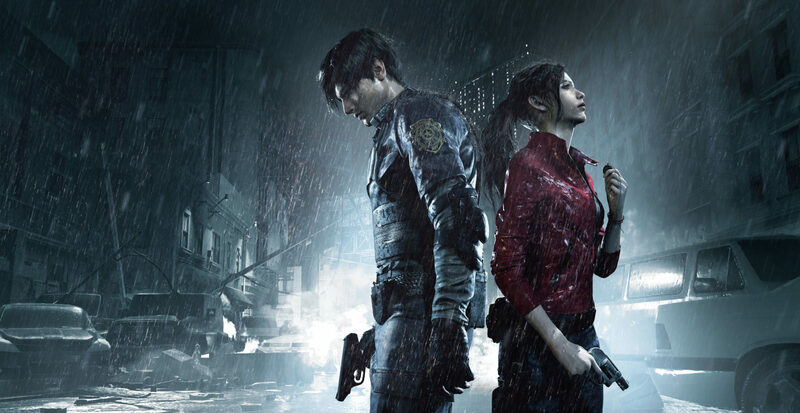 Capcom partnered up with AMD to launch Resident Evil 2 with a helping of some very nice technologies that will benefit Radeon cards with Rapid Packed Math, Intrinsic Functions, and FP16 (which explains the Turing performance boost we’ll see later. That’s Radeon’s showing in this title but NVIDIA is also benefiting from at least the FP16 functions which shows in their RTX lineup results down below. Testing Resident Evil 2, even with Denuvo’s interruption, was an absolute joy. The game does not have a built in benchmark, which is fine, but I had to pick a run that could be consistent and representative of the game. I went with a run of the game while being Leon that starts following the point where Leon and Claire are separated by fire after the 18 Wheeler crashed into their patrol car. From that point we walk through the crowded streets surrounded by intense flames and multiple light sources all illuminating the volumetric fog. From there we enter the alleyway that features more fire and lighting effects before emerging to see the police station. We continue on until we reach the school bus and that finalizes the benchmark run. Below are all the settings we used for each of our runs. I was concerned with the VRAM suggestions on the game, but these were the settings the game suggested with a higher end GPU with 8GB of VRAM so decided we were just going to go with these settings and let the cards fall where they may. It is worth noting that Radeon drivers were ready for the launch of this game but GeForce drivers are still the ones that shipped when the RTX 2060 launched. 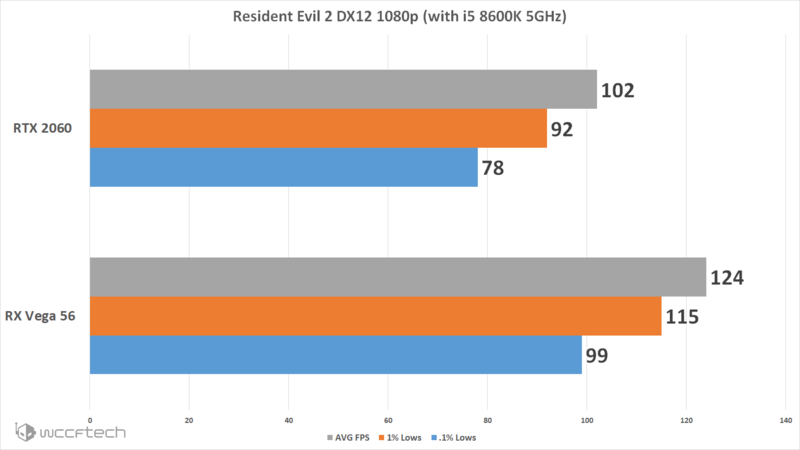 Resident Evil 2 sort of has presets and to keep in fashion with previous PC game performance evaluations we went ahead and tested them all at 4k with the Z370 test system and a RTX 2080ti. The result was pretty uninspiring outside of seeing the huge performance boost with the ‘Performance Priority’ setting, albeit with quite the image quality hit. 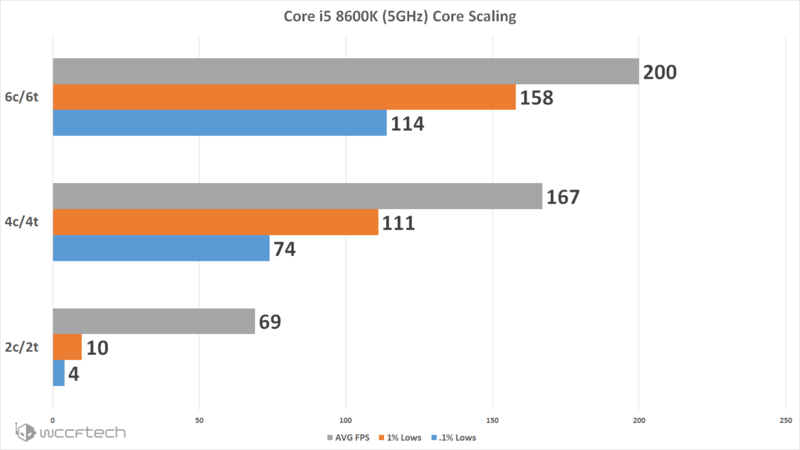 While our Core i5 8600k may not have hypter-threading like the i7 8700k or eight cores and hyper-threading like the i9 9900k but we can still get an idea of Intel core scaling down from 6 cores. We tested the core scaling the same as always with using the RTX 2080 Ti as our GPU of choice and tested at 1080p to put as much pounding as possible. The results here clearly show that this game benefits from having more cores available. Too bad we couldn’t test past 6 cores with Intel. But we’ll check with the Ryzen 7 to see if it scales past 6 cores. 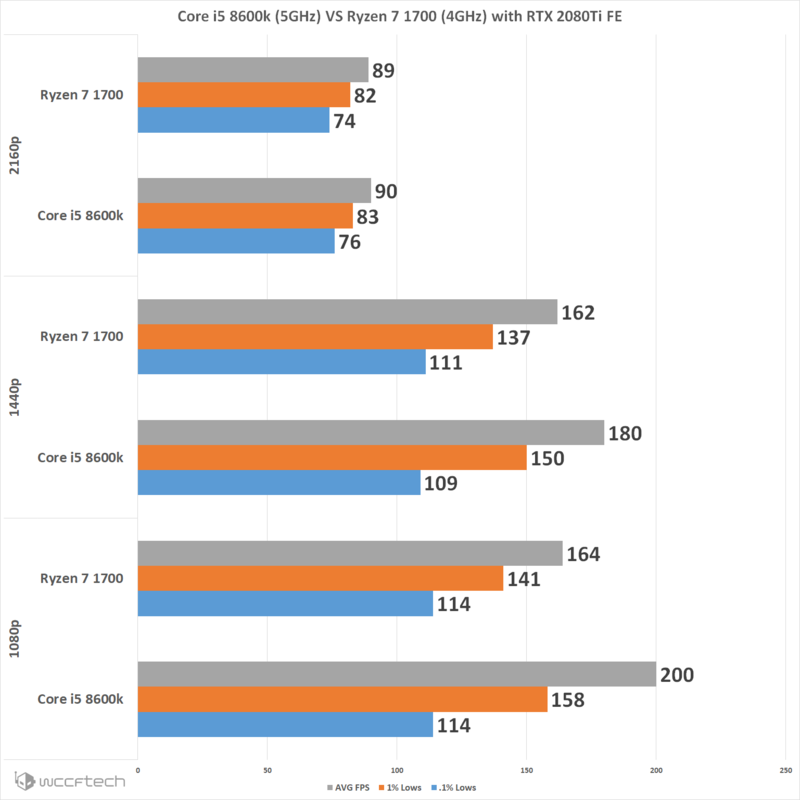 We used the same method for testing Ryzen core scaling as we used in our Core i5 scaling tests. We did decide to only go with typical ryzen core configurations that Ryzen is offered in to get a sense of scaling performance. Ryzen exhibits that, while more cores are beneficial, there isn’t much to be gained going past 4 cores and 8 threads. It does however show there is a substantial gap in performance with a non-SMT enabled quad core and one that doesn’t use it. This is all good stuff to see and shows modern game engines moving to utilize more threads than they have in the past. 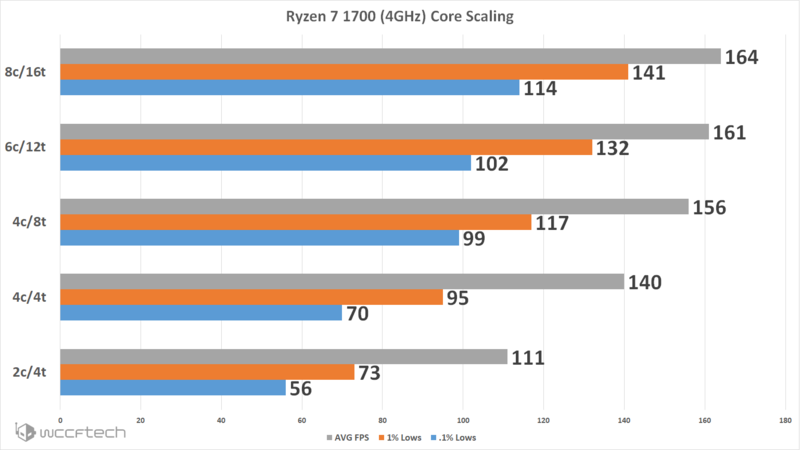 This is particularly evident when you see how a 2c/4t Ryzen CPU compares to a much faster 2c/2t CPU from Intel. Can we just stop with dual cores already, at least those without multi-threading? 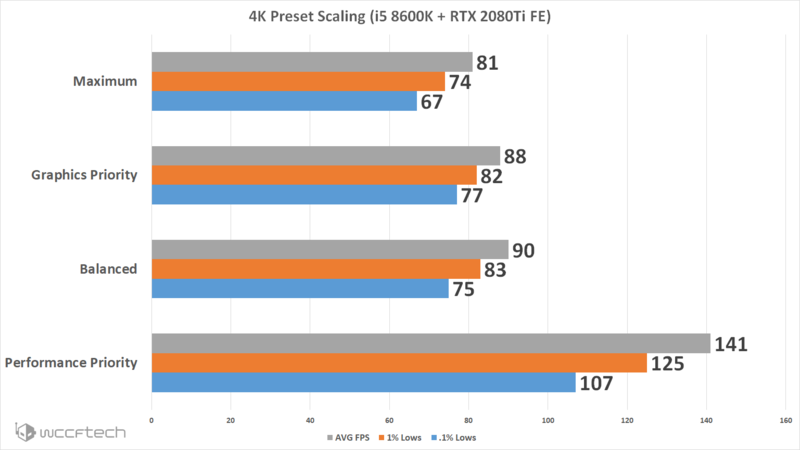 Now that we’ve tested both chips on scaling it’s always interesting to see how they scale when put up against each other with the RTX 2080 Ti at various resolutions. At 1080p and 1440p the i5 8600k carries quite the lead, but it’s completely gone when run at a 4K resolution. 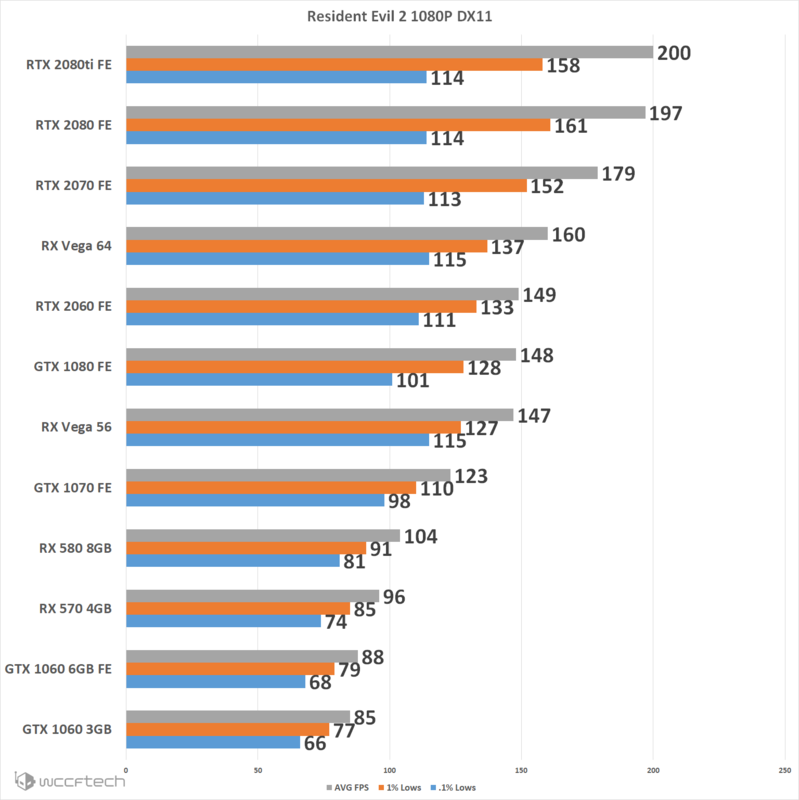 All the resolution testing was done using the Z370 test system with the Core i5 8600k since it carried the higher overall performance. We had to shift to this planning since games are taking advantage of more cores and want to give the GPUs we test as much juice as possible. 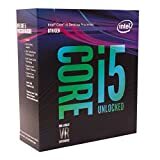 DX12 is included for those who feel like their computers are too fast, now there might be a benefit on lower end CPUs but it’s definitely a game you’re going to want to keep in DX11 mode, but worth taking a look at right now. Hopefully things will improve for those who wish to utilize DX12, otherwise leave it alone. This has been one of my favorite things to test with as new games come out and quite frankly I’ve been slacking on it. 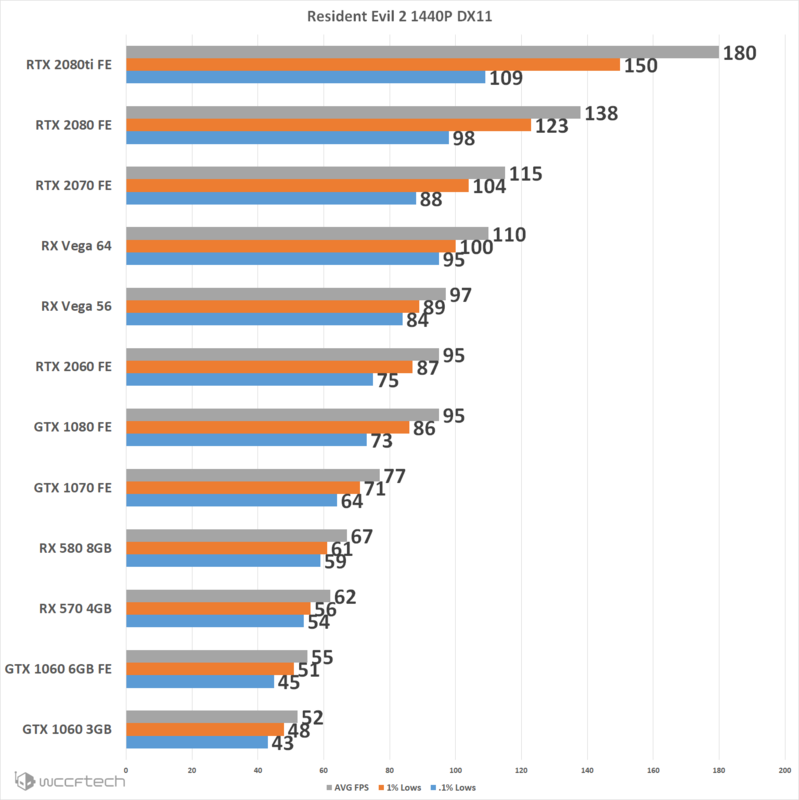 Rather than just throw up some graphs for the Ryzen 5 2400G with Vega 11 I prefer the method of seeing it in action and the immidiate impact of settings. Feel free to watch and join along as I finally get to play the game and do it with just the APU. There’s clearly a bit of a bottleneck going on at 1080p that is effecting the .1% lows, but I’ll make the argument that any of the cards there that exhibit that should be playing this game at a much higher resolution even if VSR or DSR are needed to make that happen. With that said I’m going to wrap this one up as neatly as I can. DX12 is a no go here and really makes no sense other than to check a box. If you have a modern quad core or better CPU you’ll be fine. 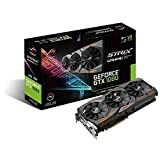 If you’re running any GTX 10 series or better you’ll be fine. If you’re running any RX card, including the RX 550 I would imagine, you’ll be fine. Point being, this game runs so well and scales up and down to the point that you’ll be able to play and enjoy Resident Evil 2 with just about anything. I’m actually going to have to give it a go on my MX150 laptop just to see if that’ll pull it off. It’s not often I get to say this but the game just runs. An interesting note I wanted to mention as we’re heading back into playing this game finally is the Pascal VS Turing performance. We’re starting to see in games like this were something like FP16 is being used how the split operations built into the Turing architecture are going to be very beneficial for it long term. We see the RTX 2060, despite it’s VRAM defect, sitting on top of a GTX 1080 down the line. But these same functions show a very strong architecture for Radeon cards across the board, with them besting Pascal in every price point.